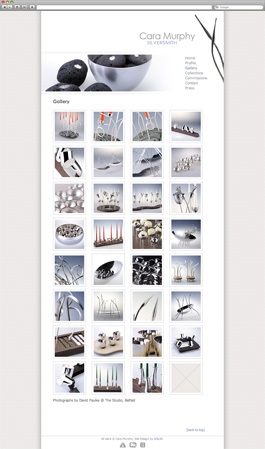 A contemporary silversmith and university lecturer based in Northern Ireland, applying traditional silversmithing techniques to create innovative and sculptural functional silver tableware. 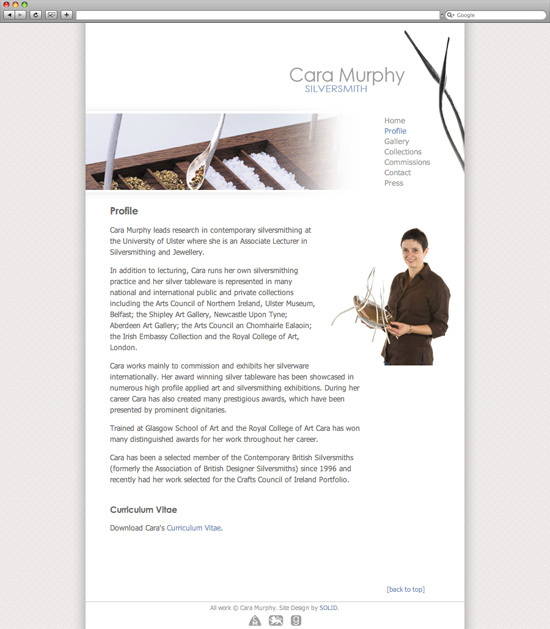 Cara wanted an informational website which reflected the creative and elegant nature of her work. 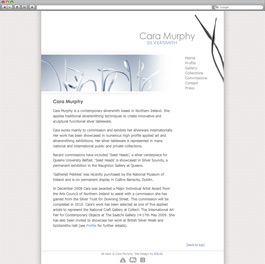 We created a simple but professional brand for Cara's website and developed a minimalist style website in which to stage her work. This award winning design is based around strong imagery of Cara's work, with an elegant quality reflecting the flowing shapes of silver.